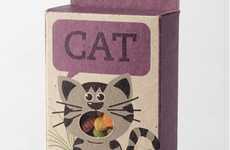 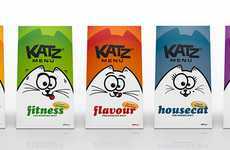 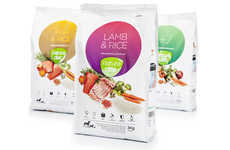 Wholesome Pet Food Packaging : "iams healthy naturals"
The pet food packaging bags for Iams Healthy Naturals recently got a fresh new design by LPK, showing off big, vibrant photos of exactly what each bag contains. 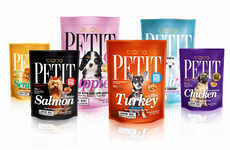 Iams Naturals pet food varieties like Chicken & Barley, Ocean Fish & Rice and Salmon & Red Lentils are presented in photos where the dishes look like they would be fit for human consumption. 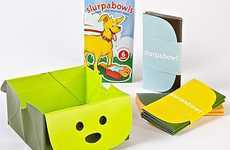 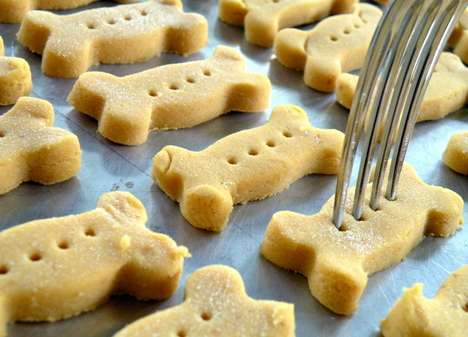 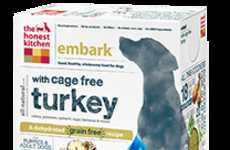 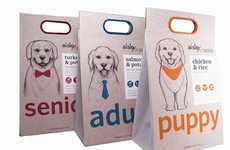 Although most four-legged friends would be happy to eat just about anything, it can be harder for some pet owners to get a sense of what is pets find the most tasty, but these packages help to give dog owners some idea. 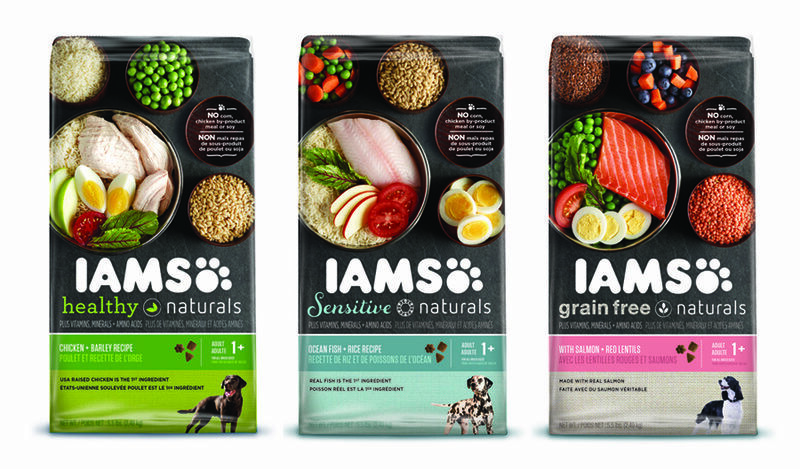 This series of packaging for Iams Healthy Naturals, Sensitive Naturals and Grain-Free Naturals presents all of the good stuff up front, but it doesn't give everything away either—did you spot the hidden paw created by the shape of the bowls containing the ingredients? 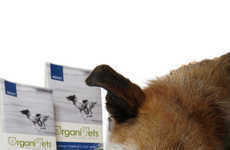 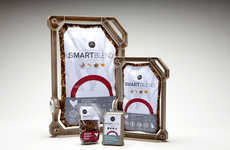 Interest: 2.2 minutes	Concept: "iams Healthy Naturals"